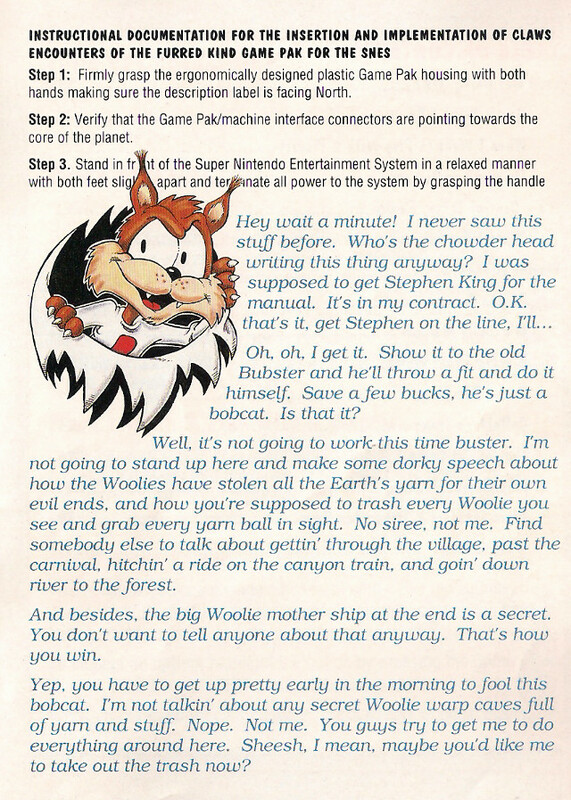 The video game instruction booklet is something of a dying art. 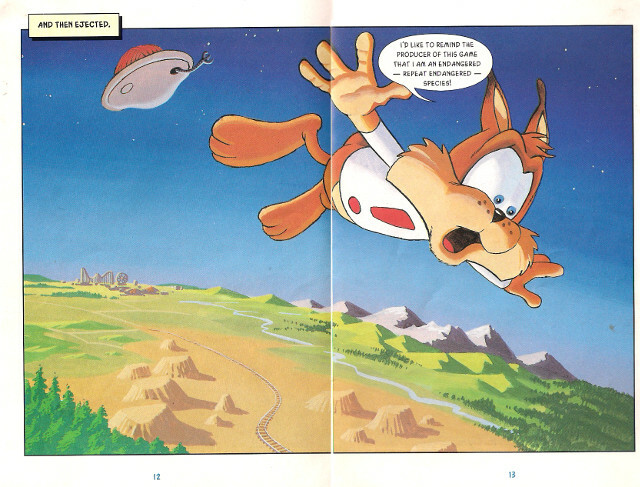 These days, you’re lucky if a new game purchase includes a single printed page with box art, some legal mumbo jumbo, and a controller layout that explains how to play the game. 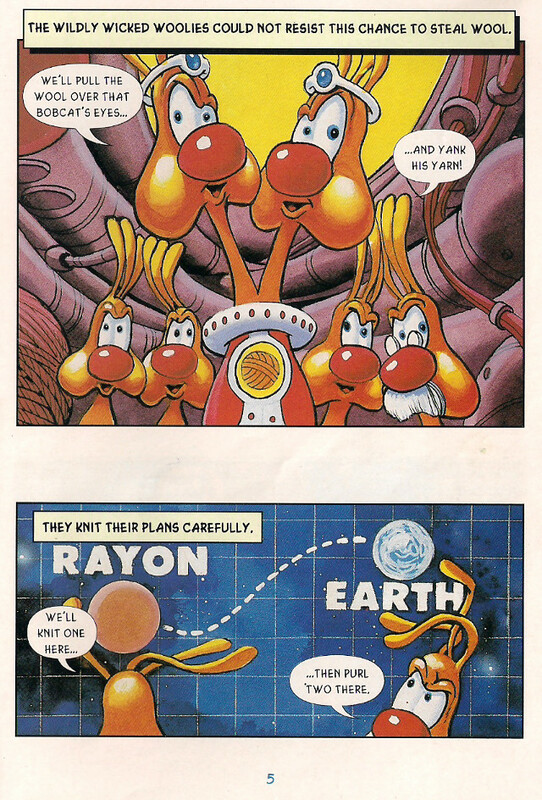 In the 1990s, though, you could expect an actual stapled booklet, full of information that was useful, informative, and fun. 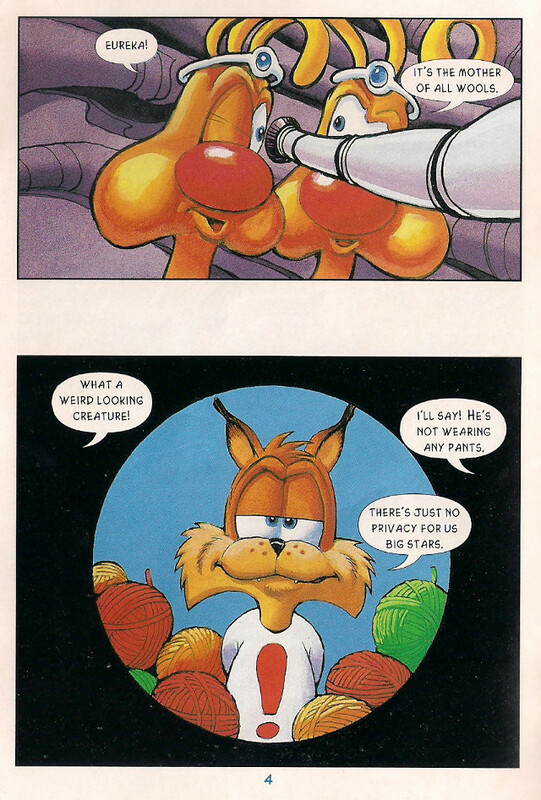 Bubsy in Clawed Encounters of the Furred Kind for the SNES was no exception. 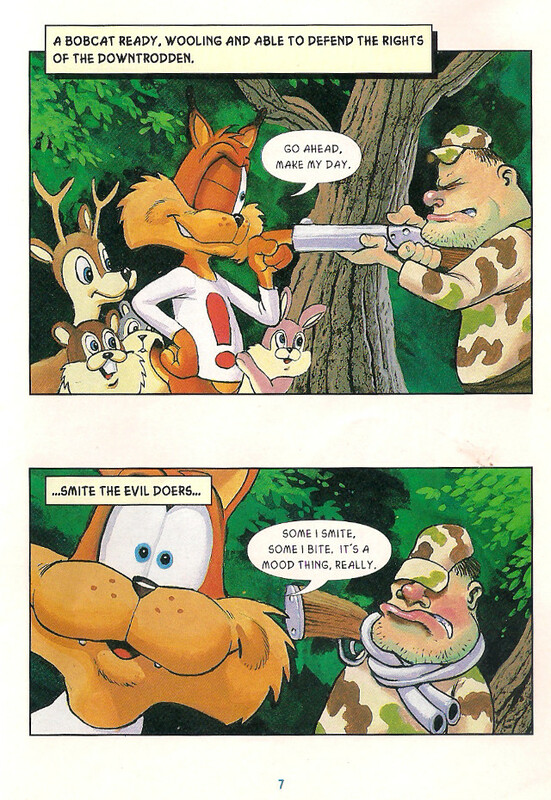 The quirky attitude of the titular bobcat is on full display here, as he’s tricked into thinking Stephen King would be writing this page. 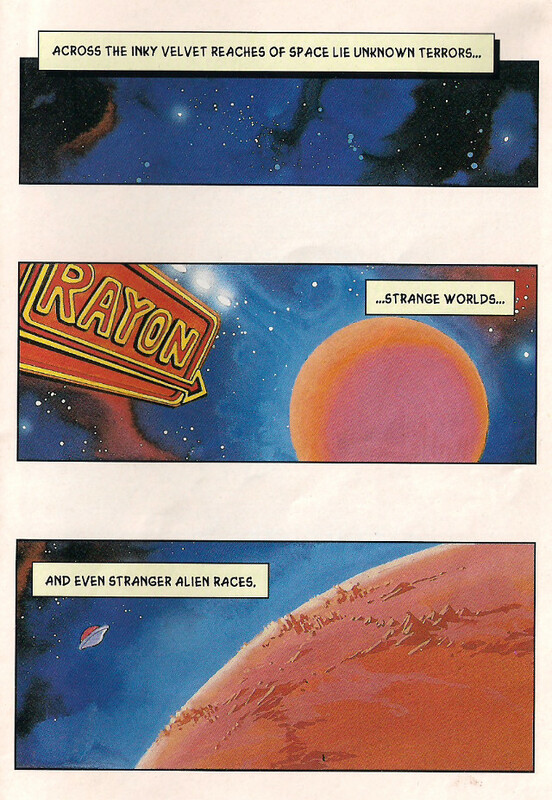 What ensues is a rant about how he’s going to end up writing the thing himself, which he ends up doing. 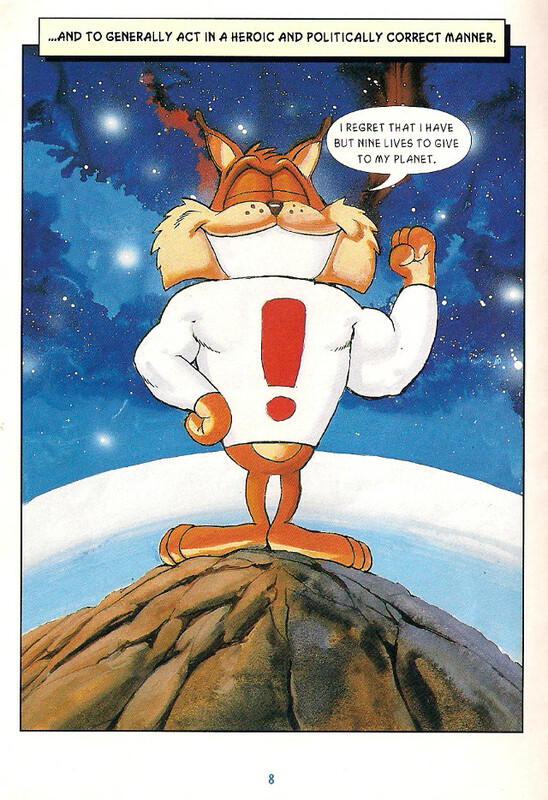 If you’re at all familiar with Bubsy’s wisecracks, you’ll know this is a pretty fitting introduction to the personality of the character you’ll be controlling. 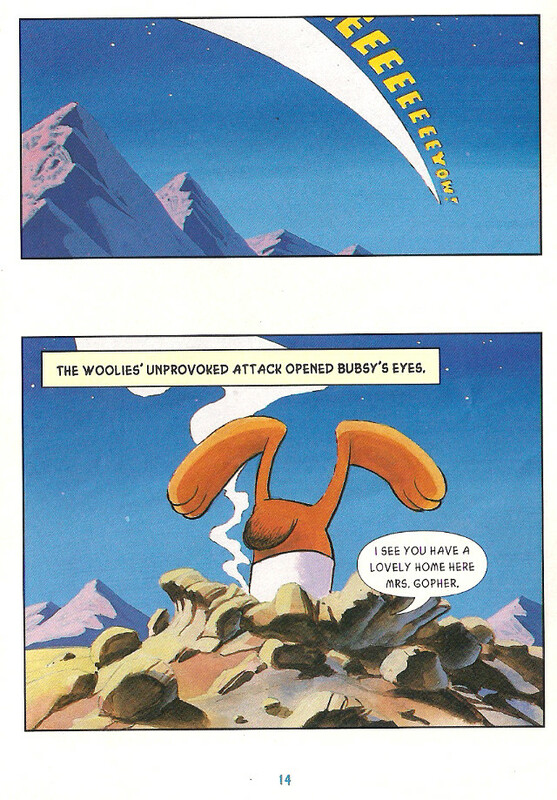 There are some helpful tidbits about the obstacles you’ll encounter in this wacky, cartoony world. 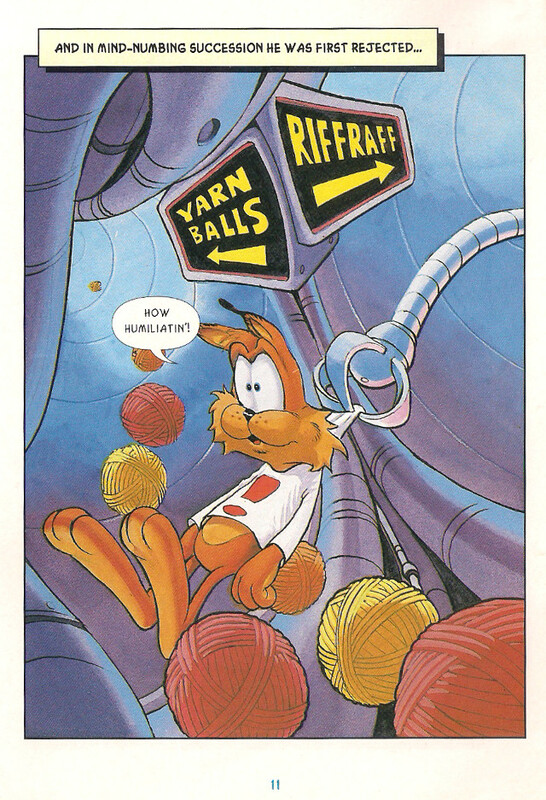 It’s especially helpful, as there are some pretty complex mechanics at play here, like the way cars with tops allow Bubsy to bounce, but convertibles will kidnap the bobcat if he’s unfortunate enough to hop inside. 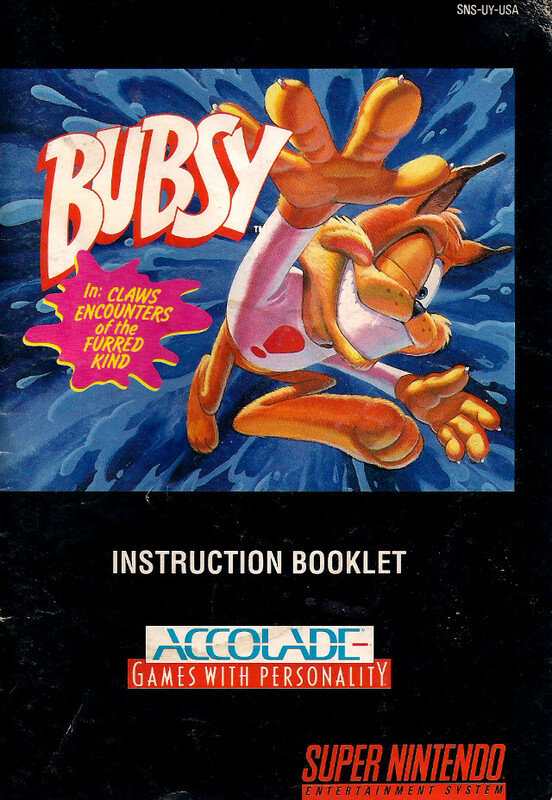 In the 1990s, there was no need for tutorials or help pop-ups in video games because all the esoteric gameplay elements could be explained in the game manual. 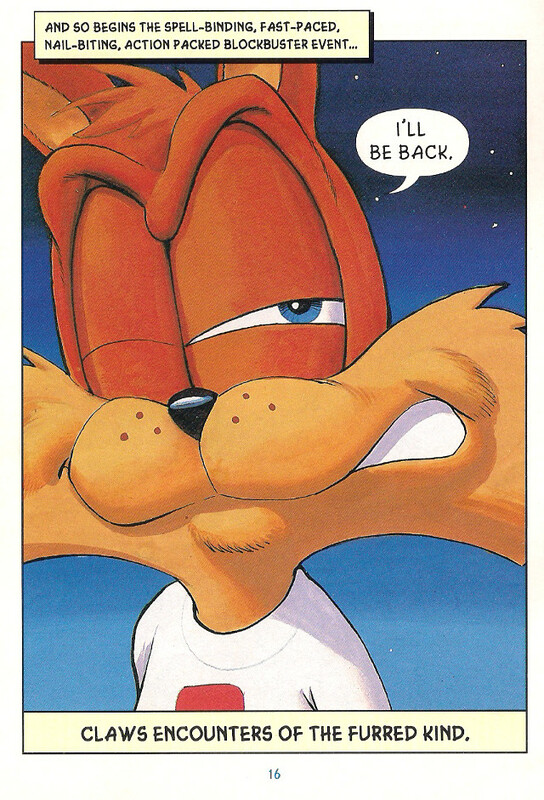 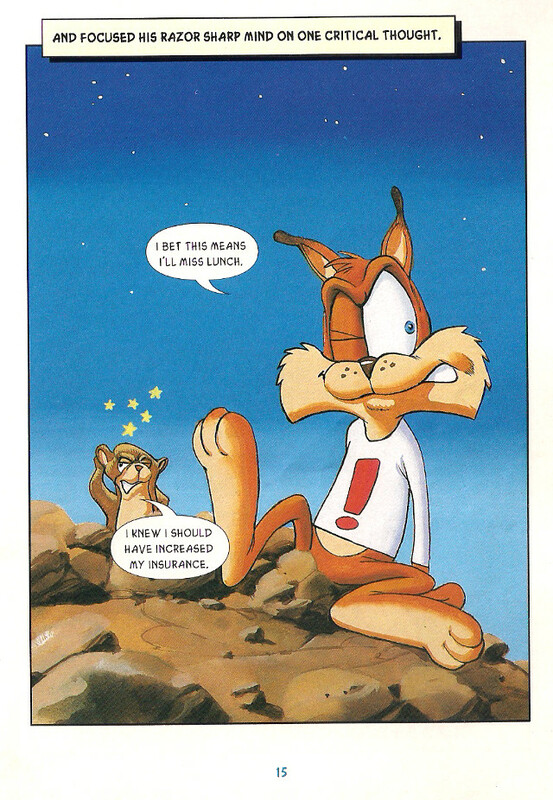 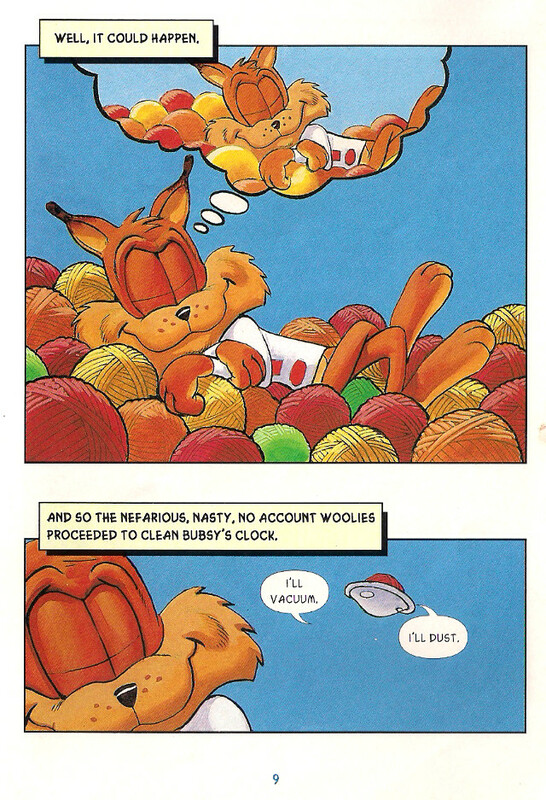 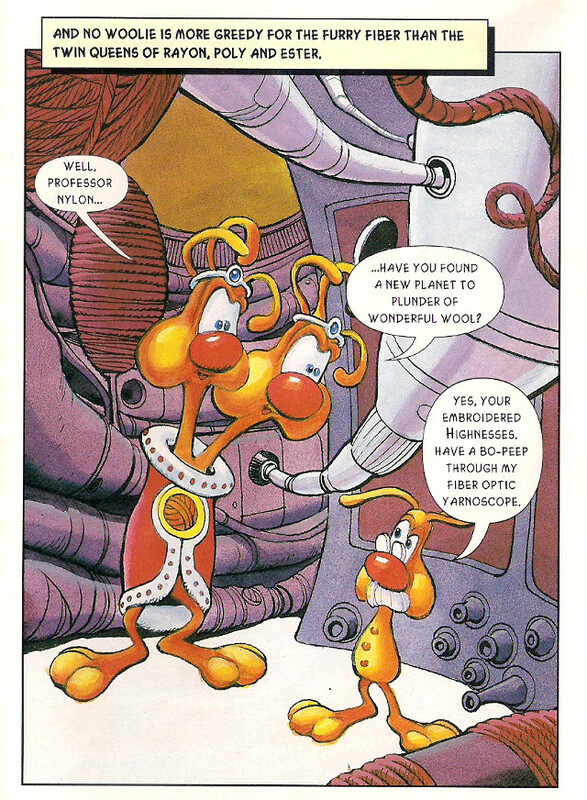 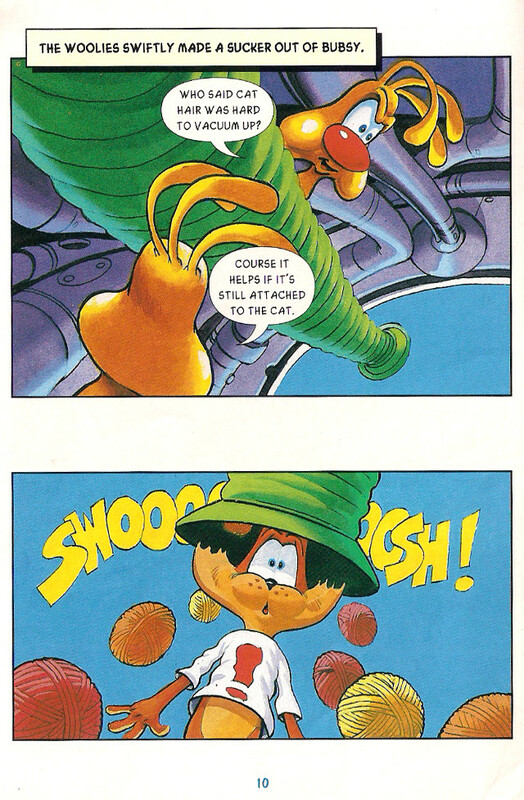 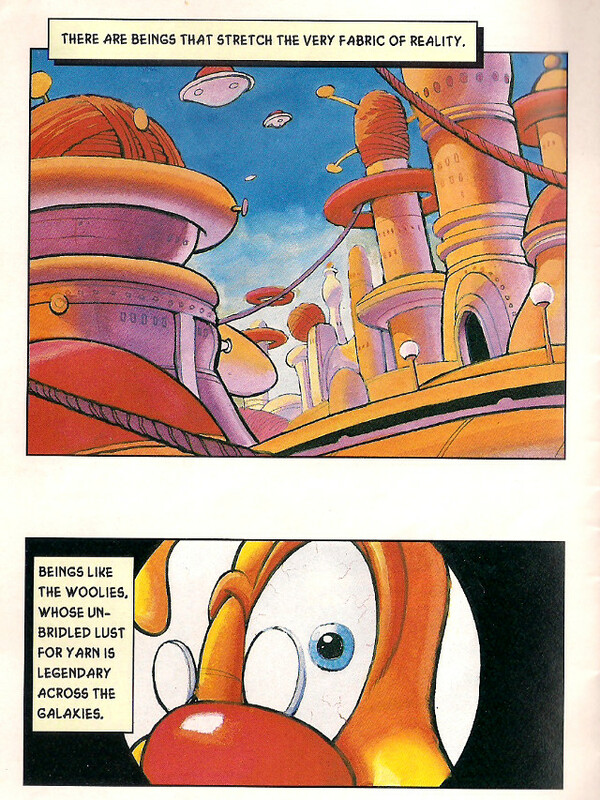 The real treasure, however, is a 16-page comic book (written by Richard Moran and drawn by Ken Macklin) that explains how Bubsy ended up in this situation in the first place. 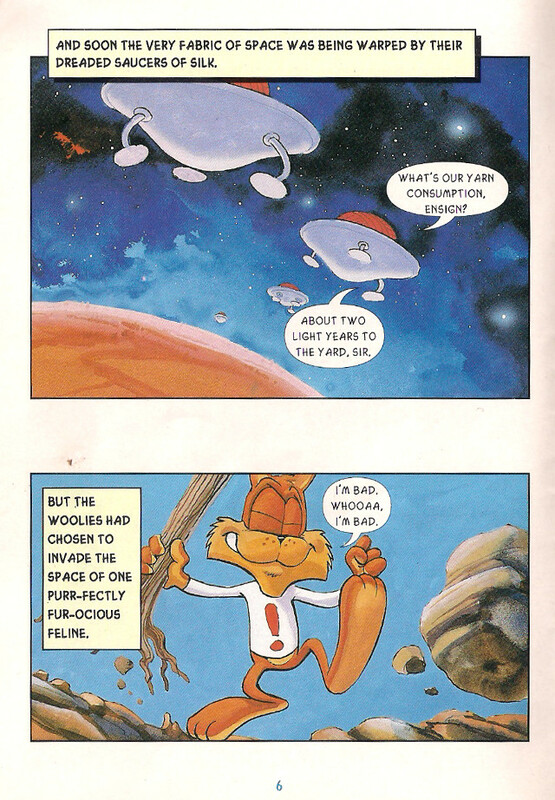 It’s also completely loaded with puns.